This is the second major change in the housing market in less than two months. Loosening the Central Bank's mortgage deposit rules without boosting supply won't fix Ireland broken housing market but may push up house prices even further. What can be done to fix Ireland's housing market? New builds are running at less than half of the required level. There is an acute scarcity of second-hand houses coming on the market. Builders and developers are finding it impossible to get finance and even people in what were once considered to be "good" jobs can't get mortgages. 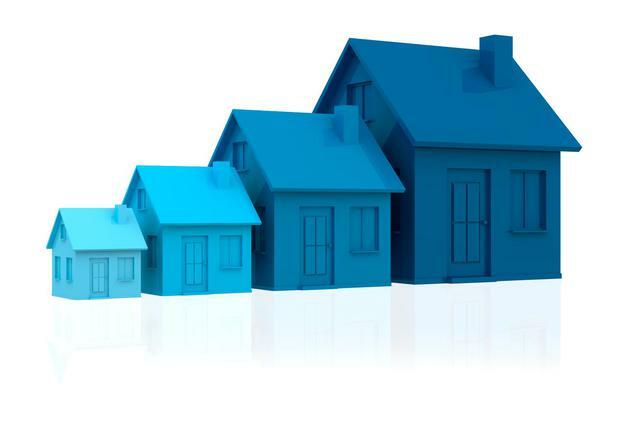 On Wednesday the Central Bank announced the first major changes its mortgage deposit rules. First-time buyers will now only need to save a 10pc deposit, no matter what the price of the property, instead of requiring a 20pc deposit on any part of the price over €220,000. What this means is that a first-time buyer seeking to purchase a €300,000 property will now have to save "only" a €30,000 deposit instead of €38,000. This is the second major change in the housing market in less than two months. Finance Minister Michael Noonan announced a help-to-buy scheme that will give first-time buyers a tax rebate equal to 5pc of the value of the property in the budget on October 11. When the help-to-buy scheme is added to the Central Bank's reduced deposit requirements, first-time buyers could be able to purchase houses or apartments with a deposit of as little as 5pc. In fact, as DIT lecturer Lorcan Sirr points out, the deposit requirement could shrink to just 3pc or even 2pc when bank cash-back offers to new mortgage customers are factored in. However, the supply of both new and second-hand homes coming onto the market remains extremely restricted. The latest Department of Housing figures show that 10,500 new homes were completed in the first nine months of this year, a 15pc increase on the same period in 2015. On present trends this would point to almost 15,000 completions for the full year. The reality will almost certainly be different with Construction Industry Federation director general Tom Parlon forecasting that new housing output will be less than 14,000. This is because the Department figures, which use new ESB connections as a proxy, exaggerate the number of completions. Regardless of the precise number, this will be nowhere near enough with most analysts reckoning that we need to build up to 30,000 new houses a year to meet the underlying demand. Meanwhile the supply of second-hand houses coming onto the market appears to be drying up. The CSO calculates that less that just 35,500 existing properties and just 2.400 new dwellings were purchased in the year to September. The situation has almost certainly deteriorated even further since then with figures from the Property Price Register, which aren't compiled on the same basis as the CSO's, showing that 3,600 housing transactions were registered with it in October 2016, a 20pc reduction on the same month last year. At current transaction levels each of the country's more than 2 million houses and apartments can expect to change hands just once every 40 years. The help-to-buy scheme could potentially make a bad situation even worse. By restricting it to new homes, the Government has put second-hand houses at a disadvantage in the marketplace. Will this make owners of existing properties even more reluctant to put them up for sale? Just for good measure the number of vacant houses and apartments remains at extremely high levels. The April 2016 census shows that, even when holiday homes are excluded, there were 198,000 vacant houses, almost 10pc of the total. And not all of these vacant properties are located in remote rural areas with the census results showing 35,000 vacant properties in Dublin city and county. "Everything that has been done is to stoke demand. There has been nothing done to stimulate supply", says Sirr. "If you own a house or land you will benefit from this. The reduced deposit requirement will be more than absorbed by price increases and will result in buyers taking on more debt". The CIF's Parlon sees things slightly differently. He believes that making it easier for first-time buyers to borrow will lead to an increase in new housebuilding activity, which will in turn push up supply. He also points out that the help-to-buy scheme and the lower deposit requirement will do nothing to address the high cost of building new homes, something that affects first-time buyers disproportionately. The Society of Chartered Surveyors calculates that it costs €330,000 to build a three-bedroomed semi (the typical starter home) in the greater Dublin area, €45,000 less than the median asking price for such a property. However, construction costs make up only €150,000, less than half, of this figure. Site costs were almost €60,000 and VAT another €40,000. In addition to VAT on new houses, Parlon points to the extremely high development levies being imposed by local authorities in the greater Dublin area with Dun Laoghaire-Rathdown Council charging up to €60,000 per house. "There is a viability issue. It is a pain in the neck trying to develop a scheme of houses. "Builders are doing other projects such as offices instead", he says. "This is another step in the right direction. It will make it easier for a small group of people to get a mortgage and will help speed up building". But much more needs to be done to sort out Ireland's dysfunctional housing market. Sirr points out that we were building almost 9,000 local authority houses a year, a third of total output, as recently as the mid-1970s. He argues that the state must get back into building houses. "With the recent changes, the Government is hoping that the market will resolve the problem for people earning €70,000-€80,000 a year," he says. "They have done nothing for people on lower incomes who are earning too much to qualify for social housing."